Since the weather outside is still frightful, we would like to concentrate on what is happening inside! How do your indoor plants and trees look? Are they in need of re-potting with an updated planter or a change of color? 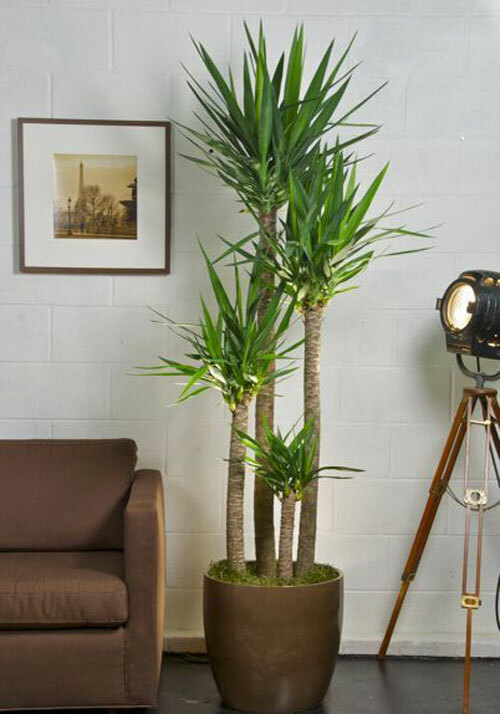 Here are a few suggestions for indoor trees and plants like jade, yucca and ficus. 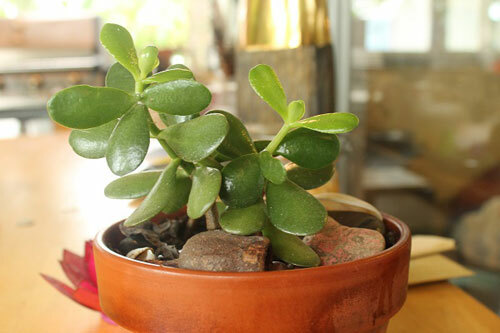 Did you know that you will sleep deeper with a potted jade plant in your home? The potted jade bonsai evergreen is very low care and it needs moderate direct light (setting it on a south or west facing windowsill during th day provides enough) and infrequent watering. If leaves crinkle or fall off you may be over watering. Their leaves are deep green and look lovely in a terracotta pot or a light color planter for contrast. Ficus tree's main requirement is consistency, so they do well in a living or family room where the temperature, humidity and light conditions remain relatively static. Put the potted tree near or across from a curtained north or east facing window so it can get the moderate, indirect light it needs while being protected from drafts. 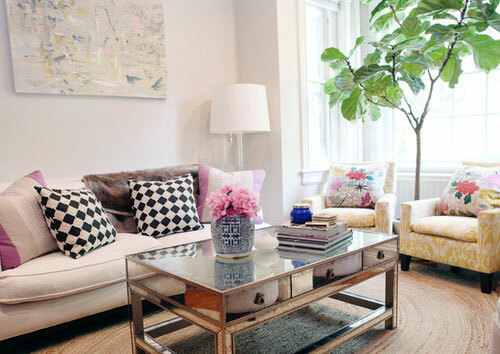 (All potted ficus trees drop their leaves when adapting to a new environment, so don't worry) Did you know that potted ficus trees filter out toxic formaldehyde, which can be found in furniture glues and cleaning products? Unlike many trees, the spineless yucca can adjust to drastic changes in temperature, making it well suited for a foyer. Potted yuccas also prefer direct sunlight like a front hall with a south or west facing exposure can be the perfect location. These potted trees are drought resistant, so be sure to let them dry out completely between waterings. Browning leaf tips is a common sign that they are getting to much water. Studies show that potted yucca trees significantly lower indoor carbon dioxide levels, which help reducs stress and boost focus. Who knew?